John’s 25+ years in the electrical testing industry affords him the knowledge to run major testing projects. 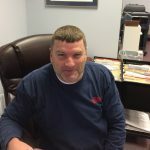 Educated as an electrician and a member of the IBEW, his expertise in Acceptance Testing and lead start up of power plants and data centers provides him with the knowledge to complete your project from beginning to end. As a NETA level III certified test technician he is proficient in all aspects of the electrical testing industry. Stan is an expert in all aspects of electrical power and power quality. Successful projects include 2500kw Cogen and campus power restructuring and UPS replacement/generator building upgrades. He specializes in cogeneration, wind, fuel cells, and solar installation, with great strength in relay protection. Works closely with professional and utility engineers. Stan holds a degree in electrical engineering from Rensselaer Polytechnic Institute. Jim has 40 years of experience with 30 plus years in the testing industry. 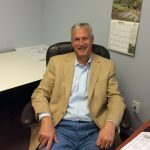 Before making his career in the specialized electrical testing industry, Jim held foreman positions on-site for large electrical construction projects. His expertise in emergency services provides building owners and managers with peace of mind in knowing restoring of power is achieved. Jim focuses on maintenance testing and repairs for insurance companies, data centers, hospitals, telecommunication, and wastewater treatment plants. Dave began his career as an apprentice with the IBEW. He is an expert in electrical testing, having worked in all phases of the industry during his 40 year career. From project beginning to end, he has the qualified understanding to assist with your independent testing needs. Dave is an expert in understanding specifications, diagrams, and thorough electrical operation of the project. Bob’s experience extends from maintenance and testing of circuit breakers, protective devices, and power transformers to electrical power system studies and Environmental, Health & Safety Training, NFPA-70E & OSHA compliance. He is a supporting member of the Association of Facilities Engineering (AFE) and NFPA. 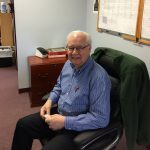 Bob’s career began in 1969 with a degree in Electrical Engineering. Read more about our team’s qualifications, certifications and commitment.